AQUA Properties proudly presents this rented 2 Bedrooms Fully Furnished Apartment with 3 Bathrooms available For Sale in Viceroy Hotel Resorts Residences, located in Palm Jumeirah. 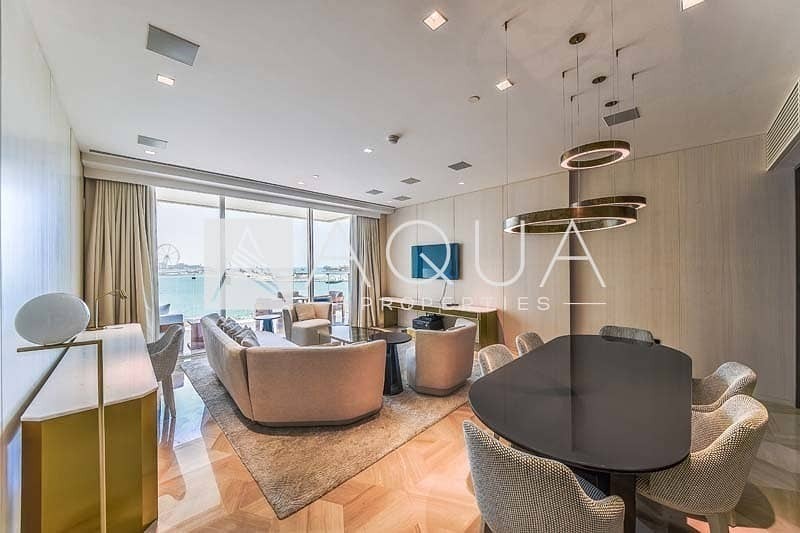 This spacious property in Palm Jumeirah has an amazing Sea Views from its own private balcony and a standard large built up area of 1,642 sq. ft.
AQUA Properties, founded 2005. The goal back then is the same today: To stand out and stand ahead of our competitors. To offer more and to do better, to deliver the highest standards and services to our clients. This is achieved through knowledge, experience and professionalism. We now bring to the market place project management, development, investment advisory services, real estate supervision management and international consulting services. Aqua Properties, the one stop solution for local and international real estate investment requirements.